Hong Kong and Zurich have tied behind Singapore in the Worldwide Cost of Living Rankings. Groceries in Hong Kong are nearly two-thirds more expensive than in London. Hong Kong Island is infamous for having some of the most expensive property in the world. For anyone who has worked in Hong Kong, it will come as little surprise that the city is ranked the second most expensive place to live in the world. While Singapore has retained its crown as the worst place for the budget-conscious to put down roots, Hong Kong has raced seven places up the ranks in the past year to tie at second with Zurich, according to the Economist Intelligence Unit’s (EIU) Worldwide Cost of Living Report 2016. In fact, despite composite CPI inflation in Hong Kong coming in at 3.1% in February, the study found that it is now 12% more expensive for expats to live in Hong Kong than it was last year. 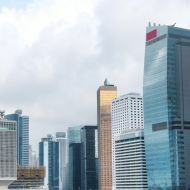 Some of the city’s rise can be attributed to the strength of the US dollar, to which the Hong Kong dollar is pegged, making the cost of living more expensive in comparison to countries whose currencies have weakened in the past year. But even accounting for this factor, the city is still a pricey place in which to live. Hong Kong is infamous for having the most expensive property in the world and, unsurprisingly, the cost of accommodation is a significant contributing factor to the city ranking second in terms of cost of living. A two-bedroom unfurnished apartment in a good location is likely to set you back by around HK$40,000 (£3,971) a month, according to the report. If you want three-bedrooms, you can expect to pay an eye-watering HK$100,000 (£9,928) a month. Even if you are willing to compromise on both location and space, you are still likely to need to spend an average of around HK$25,000 (£2,280) a month on accommodation. A stronger dollar is raising the ranking of US cities and those that peg to it. The US dollar is on its fastest rise in 40 years. Rent is not the only thing that commands a steep price tag. The city is the second most expensive place in the world in which to buy a basket of groceries, with only Seoul coming in as costing more. In fact, buying food in Hong Kong is nearly two-thirds more expensive than in London and almost a third more costly than in New York. But the high cost of living does not end there. Hong Kong is also the most expensive place in the world to buy a litre of unleaded petrol at US$1.76 (£1.25), although motorists can take some comfort from the fact that this is down from US$2.04 (£1.44) last year. This cost contributes to it being the second most expensive place in the world for transport after Singapore. 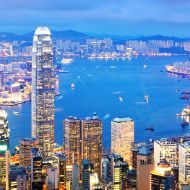 Hong Kong is the sixth most expensive place out of the cities in the study for leisure and entertainment, while it is in the top 10 priciest places to buy clothes and is the 11th most expensive city for purchasing household supplies. There are some bright spots, with Hong Kong emerging as one of the cheaper places in the world in which to hire domestic help, thanks to its army of foreign domestic workers from the Philippines and Indonesia but, on the whole, it is a pricey place to live. The report also warned that there is likely to be a “bumpy ride ahead”. It said: “The cost of living is always changing and there are already indications of further changes that are set to take place during the coming year. The survey, which compares 400 prices of 160 products and services, including food and drink, accommodation, utility bills and recreational costs, ranks 133 cities globally, and is often used as a benchmark for expat compensation packages. In the past, expat workers have been amply compensated by their employer for the high cost of living in Hong Kong through generous packages that typically cover the cost of accommodation and school fees, and may include other perks, such as paying for flights home, domestic help and even a driver. But there is a growing trend that started during the Global Financial Crisis for companies to move employees from expat packages on to so-called local contracts, which exclude such perks. The cost of living is always changing and there are already indications of further changes that are set to take place during the coming year. But for expats in Hong Kong who are not on generous packages, there are ways of living more cheaply. While Hong Kong may be the second most expensive place in the world in which to run a car, and the most expensive in which to buy petrol, public transport is extremely good value, starting at just HK$2.3 (21p) for a ride on a tram. The cost of accommodation also falls rapidly when you leave Hong Kong Island and the popular areas of Kowloon. English-language property website Spacious.hk has reported a fall in searches for properties to rent on Hong Kong Island during the second half of 2015. This fall was matched by an increase in people looking for somewhere to live in Kowloon, with a slightly smaller rise in searches for the New Territories and outlying islands. And it is not hard to see why. While it costs an average of HK$62,300 (£5,682) a month to rent a two-bedroom apartment in the popular Mid-Levels area of Hong Kong Island, costs drop to just HK$34,100 (£3,110) in Discovery Bay and HK$17,500 (£1,596) in Tung Chung both on Lantau Island, while in the New Territories you can expect to pay around HK$32,000 (£2,919) a month in Clear Water Bay. Do you live in Hong Kong? Do you find it an expensive place to live? Tell us in the comments below. Nicky Burridge has worked as a journalist for more than 16 years. She started her career at the Press Association as a news reporter, before becoming Personal Finance Correspondent, a post she held for more than 10 years. During her time at the Press Association her work for the PA Newswire was published in a range of national and regional newspapers, including the Financial Times, Daily Telegraph, the Independent and the Guardian. In 2011 she moved to Hong Kong and went freelance, writing for a number of publications including the South China Morning Post, Daily Mail and a host of specialist financial magazines. She also held the post of senior editor for investment magazine Benchmark.